The iconic AlienBee has been one of the most popular strobe units ever since their debut in 2001, and for good reason. Developed to be the perfect balance of price and quality (which is something that's tricky to pull off in the world of gear) their reputation spread quickly. Sure, you can always spend many, many, many thousands of dollars on studio lights in order attain top quality equipment, but it's never been easy purchasing a strobe rig when more restrained budgets are a concern. Enter Paul C. Buff. Make no mistake, I have been in several dozen studios throughout the United States since 2012 or so, and at least 90 percent of them are outfitted with Paul C. Buff products, and almost always AlienBees. As I said, that's the hallmark of the Bee and its related hardware: it's a no brainer because of the balance of price point and quality. In my own work, AlienBees (and later Einsteins) have been my mainstay from 2009 onward after I, like so many others, read online that an AlienBees setup was the way to go if you wanted to get studio lights without taking out a second mortgage (or in my case, a first, but I digress). Ranging in power from 160W/s to 640W/s, the classic AlienBees (B400, B800, B1600) were a reasonable and hugely practical follow up to the White Lightning units (which max out at 1280W/s) that Buff launched in 1981. White Lightnings are powerful and built like tanks, but come with the size and weight of said tanks along with them. Buff has been successful across the board, but the Bees are the main driving force behind said success. 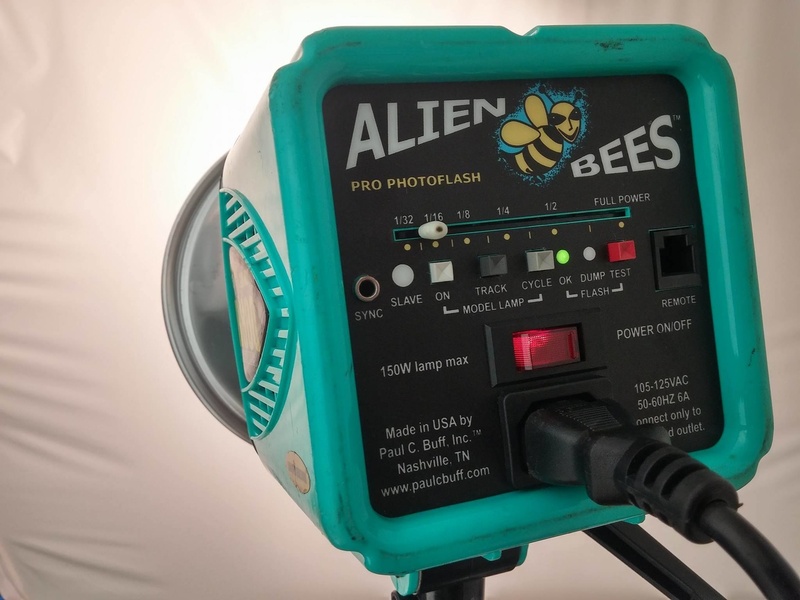 Since its initial release in September of 2001, the AlienBees flash units took the flash industry by storm — beginning as a cult favorite, then quickly rising to become the most popular studio flash unit in the country. Fifteen years later, the AlienBees are still our hottest products, combining powerful performance with intelligent design and simple controls. — Paul C. Buff, Inc.
A little more than a decade after the Bees hit the scene, Buff opted to add a new strobe unit to their lineup: the much celebrated, full digital, IGBT-based Einstein. ​The famed E640 is a 640W/s flash like the B1600, but boasting many of the functions more commonly found on 4-figure digital strobe units (but for only $499.95 USD; testament to Paul C. Buff's never-ending focus on being reasonably priced but also well made and useful). The Einsteins were a big leap forward for Buff as they led them into the digital flash unit world for the first time, and in usual fashion they've been a major success for the company. While more than twice as expensive as the B400 ($224.95 USD), any given Einstein gives you the entire power range of all three AlienBees combined plus better color consistency, faster flash durations, full digital control, and seamless integration with Buff's own Cyber Commander. I switched to E640s in 2013 and have had no complaints. Another thing about the ol' Bees is how they are reasonably able to take a beating, as evidenced by the many mistakes I've made on set with mine over the years, yet I've seldom had to have any repaired. Falls are of course the most acute error, but non-stop use, straight misuse, and wanton abuse (common on outdoor shoots or when you're generally in a hurry) took their toll on my AlienBees and modifiers for years. Somehow, they still worked for what I needed them to do despite my negligence (and their oftentimes haggard appearance thanks to said negligence). But I consider it a rite of passage for your strobes to be scuffed up, your beauty dish to be bent out of a perfect circle shape, and who doesn't love a few dimples in their 7-inch reflectors? Adds character, or something. Ahh yes, a lightly scuffed up AlienBee. Testament to how a Bee is a proper workhorse, and a familiar sighting I've run into in almost every studio in every state across the country. And even if you manage to nearly destroy your Bees in a fit of artistic rage, Buff's customer service reps are always so freaking helpful. I've always said, you can perhaps criticize any aspect of Buff's products that you wish to criticize without too much objection from me, but no one can fault their customer service, period. If you haven't experienced it, then you don't know. They really do give a damn. 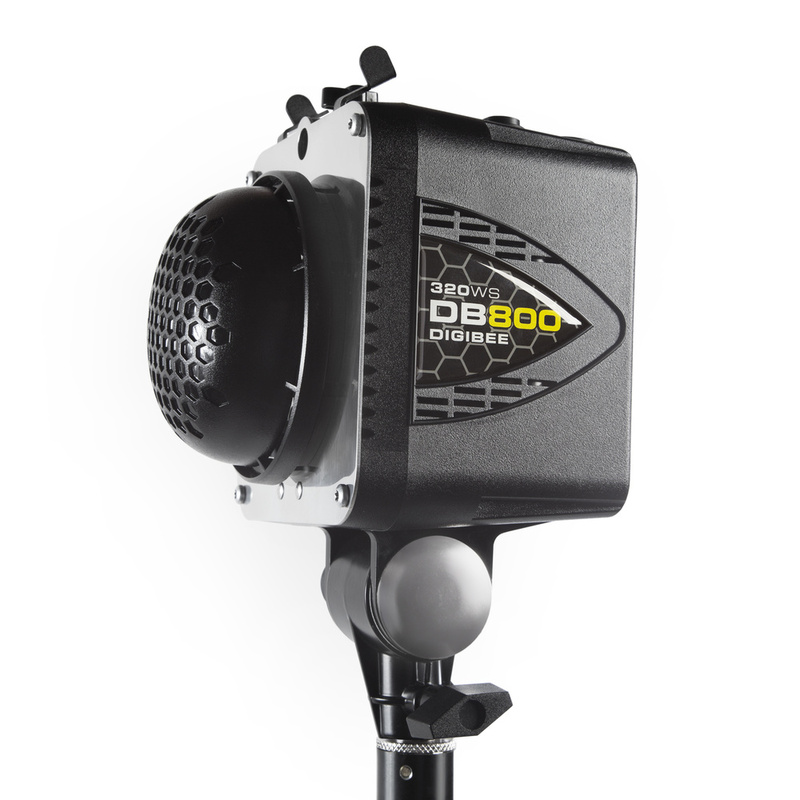 The DigiBee is a powerful, digitally-controlled, self-contained photographic flash unit, available in two output models: the DB400 unit (160W/s) and the DB800 unit (320W/s). Each unit offers consistent output, short flash durations, fast recycle, and true ‘What-You-See-Is-What-You-Get’ modeling lamp accuracy with a new digital interface that adds optional visual and/or audible recycle indication, slave eye on/off settings, and four modeling modes (on full, off, flashpower tracking, and independent adjustment). All adjustments can be made on the unit’s rear digital control panel, featuring a responsive digital display that indicates the flashpower output, modeling lamp output, or parameter status in each of the adjustment categories. With the inclusion of a bright, high intensity LED modeling lamp, the modeling lamp becomes more than a tool for previewing the light output as the DigiBee can be used for still or motion photography, delivering a bright, clean light source for a wide variety of subjects. The DigiBee is compatible with our full line of light shaping modifiers and support accessories, including reflectors, softboxes, umbrellas, light stands, and more. The unit arrives with a sync cord for hardwired camera connection and includes a port for our CyberSync transceiver, allowing the unit to be triggered and/or controlled wirelessly by our CyberSync wireless system. As the DigiBee has 120 VAC (50-60 Hz) power requirements, it arrives with our 15-foot power cord to connect to a standard, grounded outlet for power. For location work, the unit is designed for use with our Vagabond portable battery power systems. 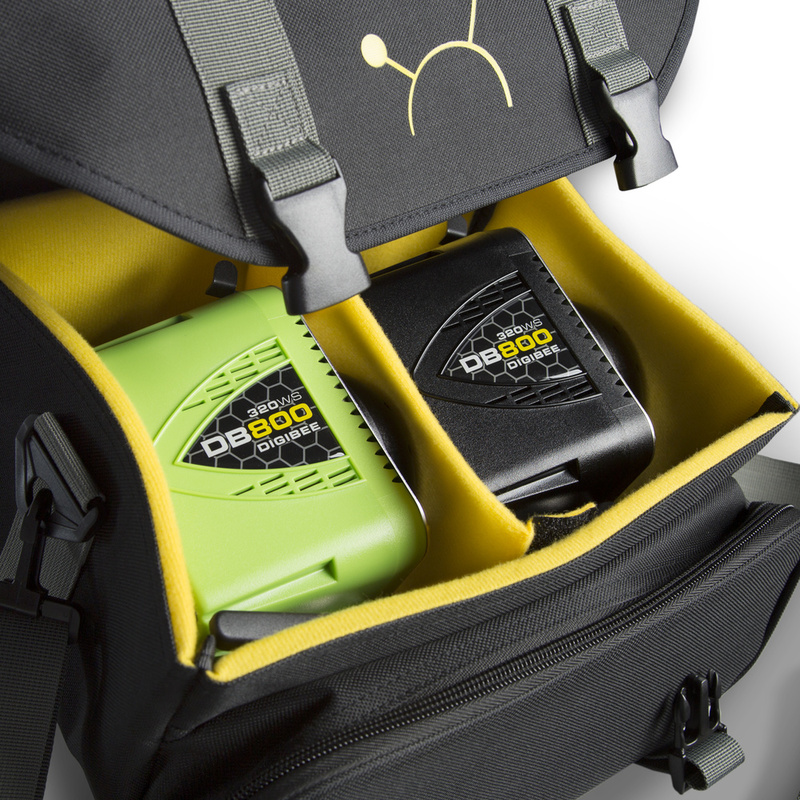 With rugged, compact design, high-impact polycarbonate housing, and internal fan cooling, the DigiBee is designed for heavy duty use, but boasts an unbelievably tiny size and lightweight frame making it ready for travel. Oh, and they're small. But, the good kind of small, which speaks very loudly to someone like me who travels 2-3 times a month. OK, so like Hammer, let's break it down. But before I continue, if reading reviews isn't your thing, or even if it is, check out the video at the top, the latest episode from my web series, The Backyard, for my general consensus on the DigiBees. What's So Digital About The DigiBee? Most obviously, the interface. We're all familiar with the analog sliders and switches on the back of a classic AlienBee, but can all agree that these sliders aren't as laser accurate as we pedantic types often prefer. Thankfully, DigiBees now boast a bright, digital LED readout on the back which is common in many caliber, modern strobes. The interface buttons are a combination of new kit and bits straight off an Einstein, which is a nice familiarity for me. Initial impression is that the rear interface panel feels solid, intuitive, and fluid. In short, the DigiBee is well made where it counts so far. Like the Einstein, the DigiBee can be furiously controlled via Buff's Cyber Commander transmitter in every minute detail (up to 16 DigiBees, in fact). Having become accustomed to how I use the Einstein in this manner, it was always a little bit of a bummer when I'd arrive on set to a studio with only AlienBees; the Cyber Commander would reluctantly have to stay in the camera bag. While an arsenal of 6, 8, 10, or more DigiBees at the palm of your hand via a Cyber Commander sounds, frankly, expensive, it still beats using the same amount of Einsteins in that regard. The Einstein was the sole digital unit in the Buff lineup for a few years, so when making a purchase decision, photographers knew it was either the classic AB or the new, full tilt, digital E640. Having Einsteins at the house, I immediately was curious how DigiBees would stack up against them, so I sat down with a DB800 and one of my Einsteins and started to compare and contrast. First off, I was about to call back the folks at Buff to find out if it was an oversight not having sent me a 640W/s DigiBee, or if in fact one existed at all. I stopped myself a second and realized that a 640W/s DigiBee would cause a marketing conflict with the Einstein for anyone prioritizing that level of power in their digital strobe units. In short, if you want the 640W/s power level, go Einstein (at least for now). You'll benefit in other ways as well, of course. But in what ways are the DigiBees better than an Einstein, and vice versa? The DigiBee. It's as if an Einstein and an AlienBee had a love child. First off, the DigiBee is arguably easier to use, and since I generally loathe instruction manuals, I found that to be a very good thing. That is, it has a more intuitive interface somewhat akin to the classic AlienBee, and as such, I found I could adjust all sorts of settings (in other words, use the dang thing) with nary a glance at the manual. It has this super clear interface with bright LEDs all over, clearly identified buttons, and even a glowing bee cartoon character (which curiously lights up first when you power the thing on). While I love the Einstein's interface for being so thorough and detailed, the DigiBee is quite simply easier to use out of the box. But maybe you need the Einstein's wider range of power variability? Then go E640, no worries there. Did I mention the DigiBee is small? Some quick math: If you prefer to travel with four lights, and Einsteins are your strobe of choice, you're staring down the barrel of 17.2 pounds (7.8 kilograms) of mass for just the heads alone thanks to each weighing 4.3 pounds (1.9 kilograms). Four DB800s, on the other hand, weigh in at just 11.7 pounds (5.2 kilograms). And even less if you are packing DB400s. If you've ever traveled with your strobes, you know the struggle is real when it comes to carry cases, airports, long treks across desert dunes, or forests with gear strapped to your back, and even getting in a freaking taxi when your rig weighs more than you do. I fly the friendly skies two or three times a month on the regular, so the idea of well made, useful strobes that take up less space and weight sounds pretty darn appealing. But let's say you need the Einstein's global plug-and-play aspect, or as Buff puts it, "Automatic power switching from 95 to 265 VAC with no lamp change or user attention required," because you're a world traveler, then here again, simply go E640. 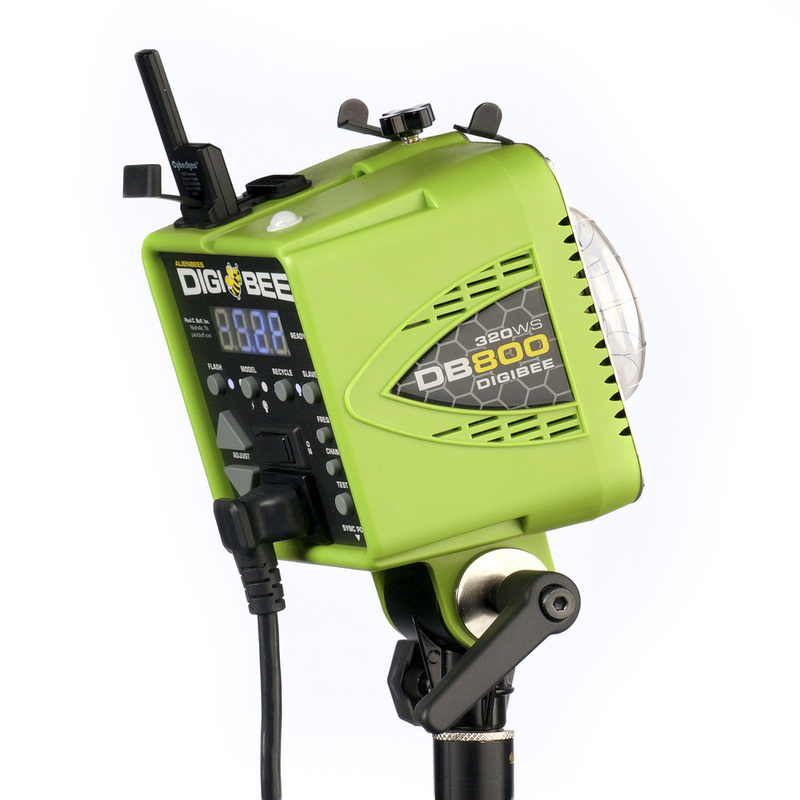 The DigiBee also comes with a daylight balanced, 400W equivalent, LED modeling lamp. It's actually powerful enough to use for video work in some cases, and balanced enough to be used as a soft fill light against, let's say, a subject by a sunny window. This was evident the moment I turned on the DB, and I put the modeling lamp to the test straight away (see video review above). The Einstein comes with a 250W halogen quartz bulb that's not daylight balanced, and somehow feels way less powerful than the 250W rating seems to imply. In other words, it's just a modeling lamp with little use beyond what a classic modeling lamp is used for. Apart from the modeling lamp, though, if your priority is being able to have super fast flash duration from the IGBT tech inherent in Einsteins (let's say for action photos), then you probably belong in the E640 camp. Simply put, since DigiBees cost $309.95 USD for the DB400 and $349.95 USD for the DB800, they are markedly cheaper to procure than the $499.95 USD Einstein. Want to go digital with a Buff strobe and spend the least cash? DigiBees. But let's also not forget that the Einsteins boast 640W of power, which may well be your priority, in which case E640 is your digital Buff strobe of choice. 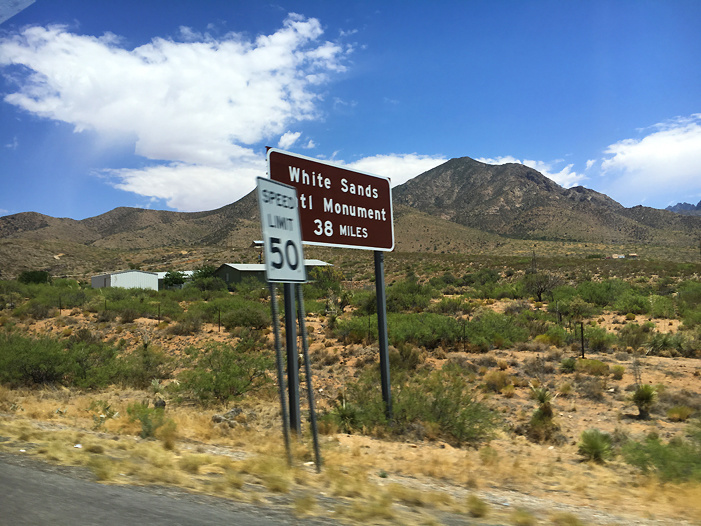 After noodling with the DigiBees in The Backyard, I then packed up my DB400 and DB800 and headed to White Sands National Monument in New Mexico for some outdoor strobing a week or so later. I was joined by usual photography road trip cohorts, Alex Ventura, Rebecca Britt, and Clay Parker. The weather said 108 degrees Fahrenheit (42 degrees Celsius) out in the desert where White Sands is, so I reasoned if the DigiBees were ever going to fail, it would be out there. White Sands, NM. 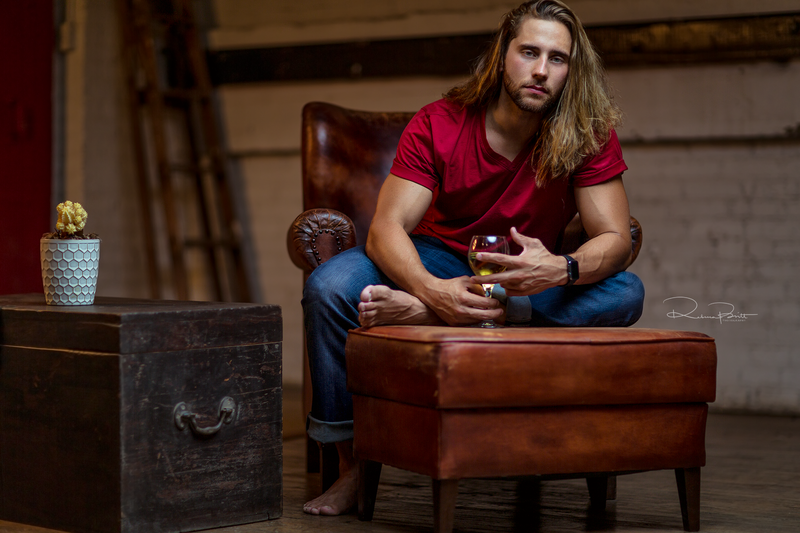 Because if you're gonna test out a new strobe outdoors, why the hell not? Blue skies, blue DigiBee 800. 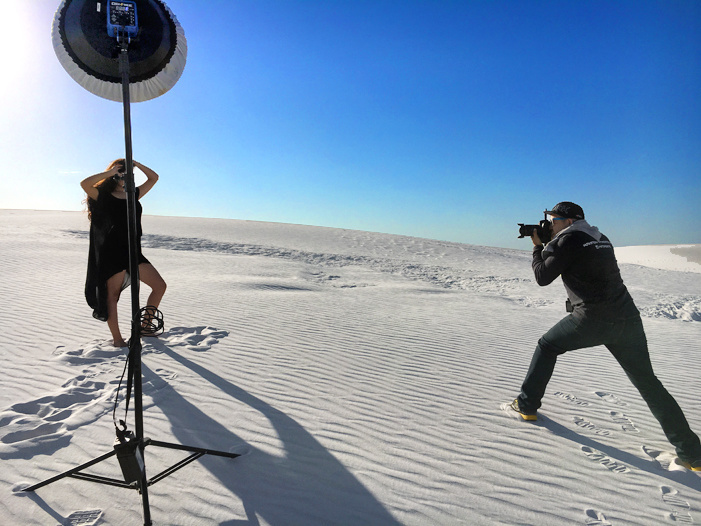 The perfect backdrop for testing strobes outdoors: White Sands, New Mexico. After said sandstorm failure on Friday afternoon, we returned to White Sands as the sun rose on Sunday and spent the morning shooting as much as possible. My long time photography associate and friend, Alex Ventura, enjoyed the undeniable veneration of being the first photographer anywhere to fire Paul C. Buff DigiBees on an outdoor set that wasn't, well, my backyard. Ventura is happy to report that "Everything was perfect; no technical problems or inconsistencies at all." while shooting model Edlyn Quintana. Well, that was just a bit too easy. The DigiBee 800 working in 100F+ temps at White Sands in New Mexico. Another brief glimpse into an upcoming behind-the-scenes video (seen in the GIF below) finds my amazing friend and fellow shooter Rebecca Britt using the DigiBee 400 on a Buff PLM while working with model Sam Elliott in El Paso, TX. 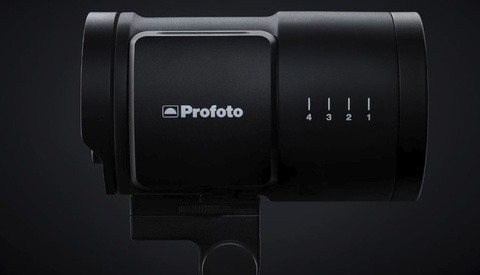 Britt found the DB400 to have passed with flying colors on its debut, and ran into exactly zero problems while using the strobe. Railyard Studio in El Paso, Texas was the studio debut for the DigiBee 400. When Paul C. Buff launches a brand new strobe unit, it's kind of a big deal. Thankfully, the new DigiBee stays true to everything that makes Buff amazing — perfect balance of quality and price — all while being just as candid and awesome as always. What will my DBs be like in six months, a year, or five years? I don't know. But so far, so very, very good, as you can see from my trip to El Paso recently with model Savannah Cornejo. My very first location shot done with a DigiBee 800, snapped in El Paso, Texas with model Savannah Cornejo. Even in a non-climate controlled warehouse, the DigiBee 400 managed just fine in the 100 degree Fahrenheit temperatures. That honeycomb shipping cover, though. Each model is available in bold, matte colors: black, red, blue, and green. Order your DigiBee on Paul C. Buff's website, or drop them a call at 1-800-443-5542. Check out the gallery below to see happy Paul C. Buff strobe owners; just a few of the cult following Buff has had since the Bees invaded the planet. Want your picture here? Post you and your Buff strobes in the comments because why the hell not! I don't NEED these what-so-ever, Nino. But, now I want them, if only to return to my mono-light roots! Thanks for that. Same here, lol... I still have 3 Einsteins with a bunch of PCB soft boxes and dishes but rarely use them nowadays... yet, these things at $300 are hard to resist! Excellent! Plan to use our existing Einstein's as main lights with the new DigiBees as accent, fill, edge. Any idea what the power range is? 5 Ws to 320 Ws. Basically combines the B400 and B800. I'd like to see how well the LED modeling lights will work as video lights? If these heads are fan cooled, will you be able to switch off the fan if only the LEDs are being used? Oh! This is exciting...wish it was easier to get them in Canada, I love my AB800. Ouch! That's true, never thought of that. I wish they used distributors. 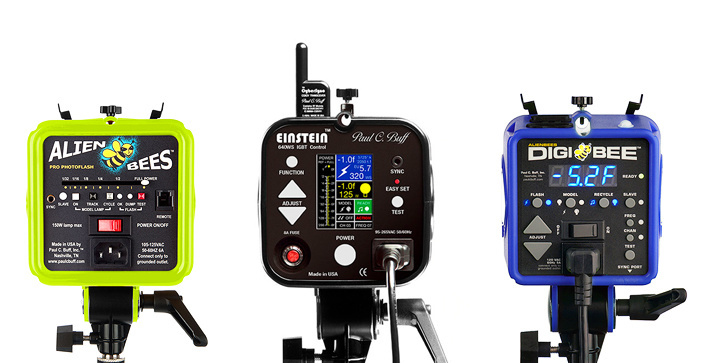 Especially seeing the Einstein is marketed as an international product due to its voltage regulation capabilities. Come on now, how is this an unbiased review? To me this is an ad. I've been trying to get PCB to advertise with us from the very beginning...they don't advertise with anyone AFAIK. Nino is a big fan of theirs and got his hands on these before anyone else so he wrote up a real world review. Feel free to take this article with a grain of salt like everything else you read online, but in the end you should def rent a pair of these (or buy one cause they are so inexpensive) and make up your own conclusion. There is a reason PCB is one of the largest sellers of strobes in the world so I'm sure these new units are some of the best bang for the buck within the photography market.....they basically sell themselves without any major advertising. That might not be accurate, Patrick. I haven't looked at the good old Shutterbug magazine in a while but for years, the first spread was Paul C Buff Ads. This is how I actually found out about them for the first time if I'm not wrong, before the internet era. And I continued using them until they started with their fascist rhetoric. You can keep your flashes thank you. well I'll be darned; maybe they have changed their approach. Neither Lee or I are paid by Profoto but we are listed as professionals who use their products on their website and advertisements from time to time so if I had to pick one company I have an allegiance to it would probably be them....not PCB. We are however the first to tell you that in most applications "light is light" and we have written article upon article about how many high end brands charge for nothing more than design and convenience when the actual light itself is no different from much much cheaper brands. PCB is great for the money and I now many many professional photographers who you would never guess have iconic images created with their flashes. I know, for example, that I addressed the HSS and integrated battery thing up front but that's because I know it's a hot topic right now, not just trying to justify anything. But that doesn't discount my review and testing - these little things gave me no issues of any kind. Had they failed, like overheated or popped inconsistently or maybe simply died on me in the field, I would have flat out stated these facts in the review (video and article). Had the units been difficult to use, I would have said so. If they fell apart in some small way, I would have been concerned about the build quality and would have said so. If they were overpriced for what I thought they should go for, I would have said so. For what the DBs are, they are damn good. And that's what I said. Product reviews frustrate people, I know. I could say the DBs are a piece of trash, and people would tell me I was biased. I could say they're awesome, and people would tell me I was biased. That's just how it goes. Like half-powered Einsteins w/o IGBT but WITH a 400W equiv LED that can run on a Vagabond? I don't even need IGBT in the field anyway (Pocketwizard hypersync works better with Alien Bees because they don't have IGBT). It'd be great to see a DB1600, but I'd bet Buff won't make one for fear of eating into Einstein sales. Can you give us a little more insight to things like color consistency, exposure consistency? You know, the things that have not been so good about the bees. Did not test that in detail as yet, but it is coming up on a future review where I directly compare E640s and DBs in a video. The timing of this is INCREDIBLE. I have been tasked with setting up a new automotive photo studio. I've done a ton of studio work, and a ton of automotive work, but never studio automotive, so I was googling around to get some inspiration to get started. I found the fstoppers article about studio lighting for cars and this was in the side panel of recent articles. Awesome! One of the coolest things about Paul himself is that he would talk to you about your project, even to the point of giving advice designing something to accomplish the exact same thing that his products do, like a DIY vagabond power pack. He gave me advice on the types of inverters needed, with full explanations of why. I was frustrated that the massive inverter my brother had given me, rated for far greater power than the unit that PCB used for the Vagabond, wouldn't work even with a fully charged truck battery. It just kept tripping the breaker with a single B400 on the lowest power. He helped me see how I could never make that inverter work because it was designed for steady loads, not instant bursts. I mean the man personally emailed me about it over the course of a week. Yes, they care just as he did. Hmm, better sell off my old AB stuff so I can get these. haha. Smaller is good for me. Does it use the same CSXCV as the Einstein? You CAN use the modeling light on a DigiBee with the Vagabond batteries, yes! I think what he is asking is whether you can swap that LED bulb into an Einstein. If so, the answer according to the manual would be no. Modeling Lamps: The modeling lamp used in the DigiBee unit is a permanent LED lamp that is NOT user-accessible or user-replaceable. The lamp has a 25,000 to 50,000 hour typical lifespan (at full power, longer at lower brightness settings) and should not require replacement for long periods of time. When the lamp finally nears the end of its lifespan, it will not reach full brightness, then eventually not shine at all. At that time, contact our Customer Service Team about replacement lamp service. I don't see why that wouldn't work. Nice find. The stock bulb is 120V (AC). All of those LEDs are in the 10~30 VDC range... they won't work. I confirmed with PCB a while back when I started looking into it. Most of the bulbs with this kind of base are for marine/auto use, which is fine because they're all lower voltage DC systems. 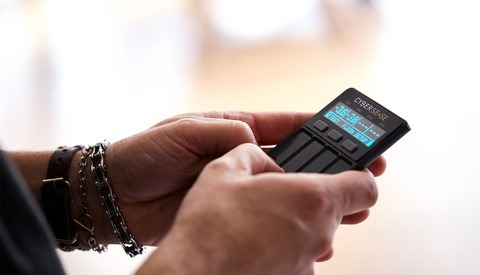 One of the images shows what I assume is an unannounced update to the Cybersync CSXCV Transceiver, am I right? Now has an attached pin protector, looks pretty great to me. Thanks for the leak. Wouldn't that be nice? I've been hanging on for dear life to those little pink foam blocks they ship with.